Daredevil is a Marvel hero known for fighting crime despite his disability of being blind. Despite being blind all of Daredevils other senses are heightened and he develops a radar like sense. Daredevil was played by Ben Affeck in the 2003 movie Daredevil by Fox. The rights of Daredevil have been repurchased by Marvel. A Daredevil series is being filmed and will come out on Netflix. The Daredevil series will lead to other crime fighter street heroes Luke Cage, Jessica Jones and Iron Fist. Daredevil will be played by Charlie Cox in the Netflix Daredevil series. Matthew Murdoch grows up in the rough and tumble neighborhood of NYC called Hell's Kitchen. As a boy Matthew Murdoch is caught in an accident involving radioactive waste. The exposure to the chemicals makes Matt blind. Overtime, Matt learns that his other senses have been drastically heightened. He can smell like a blood hound, hear conversations from blocks away, and his sense of feel gives him dramatic control of his body. In addition to his heightened senses he gains a radar sense that allows him to pin point the placement of objects in space. Matt's father Jack is a boxer he refuses to train to his in how to fight. Instead, he forces Matt to focus on academics so he can live a different life. Jack is killed after he refuses to throw a fight. After his father's death Matt vows to get vengeance and begins to undertake intensive martial arts training. Dressed as Daredevil Matt confronts the gangster that killed his father the Fixer. Fixer has a heart attack and dies. Daredevil uses his powers and martial arts to fight crime at night. He uses his mind and education as a lawyer to better the world by day. Writer Frank Miller took over writing the character in the 1980s. These stories largely ignored the continuity of the earlier stories. Miller wrote a much darker anti hero version of Daredevil whose father was abusive. This Daredevil would use guns when required. 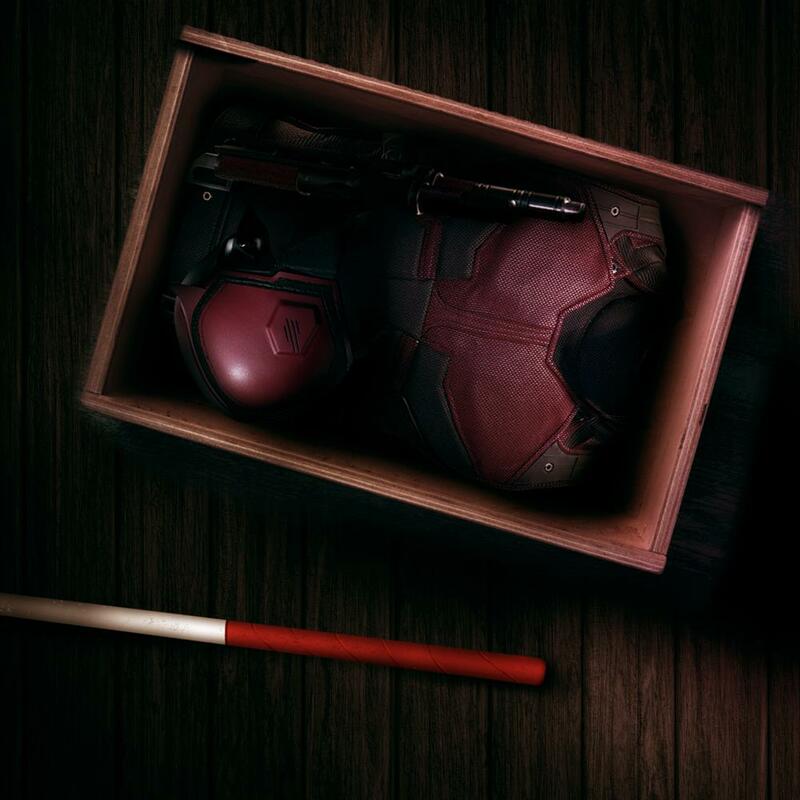 The new dark image of Daredevil stuck and he remains one of the darker characters in the Marvel Universe. Miller also introduces the Kingpin as the primary nemesis of Daredevil. In the Miller story Daredevil receives special training from a branch of good ninjas called the Chaste. The Chaste are a led by a wise, and powerful martial artist by the name Stick. At one point Daredevil falls in love with another Stick protege the assassin Elektra. 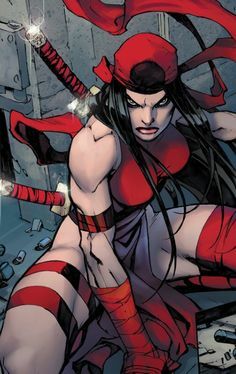 Elektra left the Chaste to join a the nemesis of the Chaste a group of bad ninjas called the Hand. Elektra is brutally killed by another assassin Bullseye in the well known story of Daredevil #181. The Hand is reoccuring villain of Daredevil over the years. Daredevil takes control of the Hand and is opposed by many of his old friends. Season one of Daredevil was highly successful. In the series Daredevil is played by Charlie Cox. In Season 1, Matthew Murdoch begins to battle the criminal elements taking over his nieghborhood of Hellskitchen. His battle with the underworld leads him and a group of friends to a direct confrontation with Wilson Fisk the Kingpin of crime. In season 2 of Daredevil, Matt continues to struggle with his double lifestyle and increasingly seems unreliable in his law firm leading to friction between himself and Foggy Nelson. Meanwhile, he comes into contact with another Vigalante Killer named Frank Castle who forces himself to question his own methods and philosophy. The conflict between the two is broken up by Matt's old fling Elektra Natchios who reenters Matt's life like a storm. The two become involved in a centuries old war between two groups of Ninjas and one of them will not make it out alive. Matt Murdoch is still reeling from the loss of Elektra in Daredevil Season 2. He is working probono now without the partnership of Foggy Nelson. Coming to the legal defense of a new client Jessica Jones leads him into a consipiracy with the Hand and learning that Elektra has been brought back to life as a weapon of the Hand. He joins forces with Jessica, Luke Cage, and Iron Fist to thwart the Hand's plans but not before making a great sacrifice.